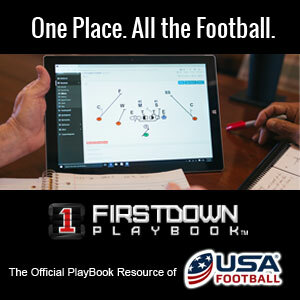 FirstDown PlayBook has spent a little time during the 2018 football season breaking down some well designed plays that have shown up on Saturday and Sunday. As you have read here many times the college and NFL coaches do such a great job of finding mismatches with personnel and scheme. We also try to make sure we preface all of these blogs and videos with the fact that we don’t really know exactly what is being taught in their building that week but we do like to break it down for you and more importantly draw it up for you so you will have access to it with the new FirstDown PlayBook 2.0 Draw & Edit tool. Today’s football play comes from a game we watched a few weeks ago where the University of Tennessee did a great job of getting a running back down the seam from the backfield. It was part play action and part drop back, heck it could have even been some form of RPO depending on how they taught it. The one thing that was very apparent is that they had a pretty good idea of what they were going to get from the defense and the two back formation quickly turned into a 3×1 formation attacking the defense vertically.